KD International | Activities | Some of our projects! 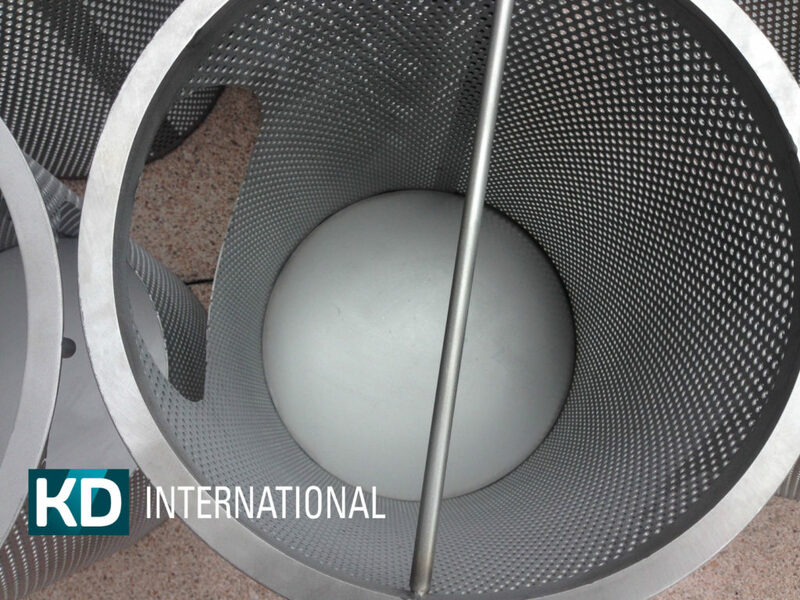 For removal of solids a basket strainer is often the first stage in the cleaning process of a liquid or a gas. 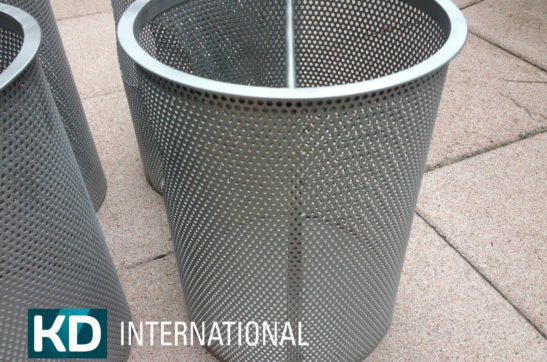 The basket strainer will retain the solids and allow only clean product to pass through. Basket strainers are used in piping systems to remove gravel, deposits that break free, and other stray items in the line. 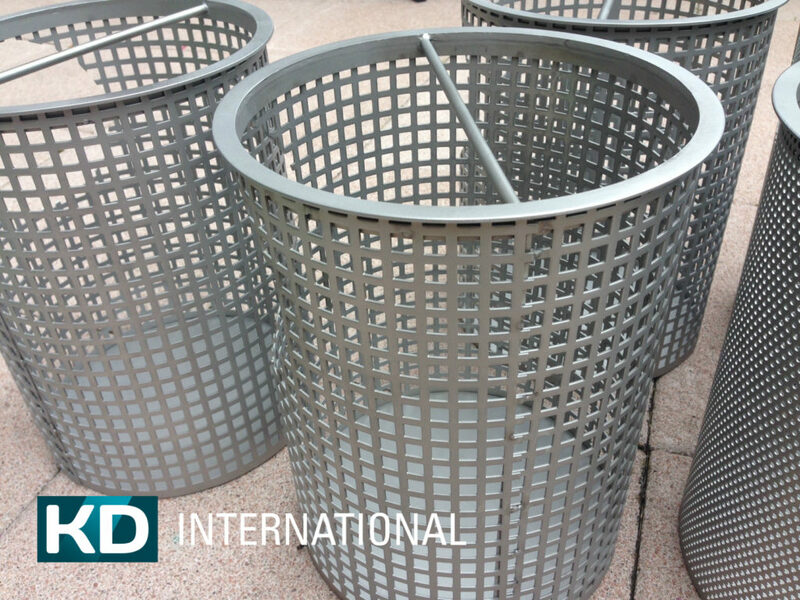 To protect downstream equipment from fouling client asked for new custom made baskets to improve separation performance. 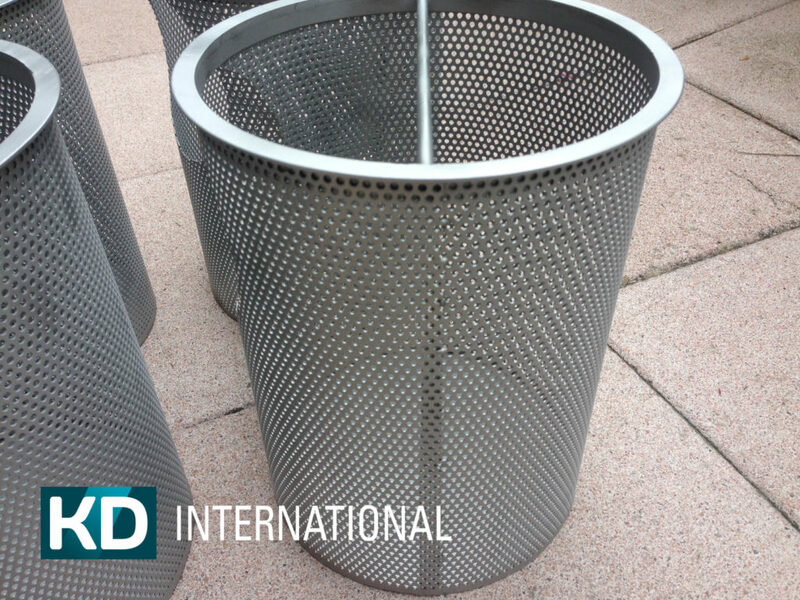 KD International offers a wide range of basket strainers, the basket strainers are cleanable and reusable stainless steel surface filters for removing of solids from liquids, compressed air and most gaseous liquids. 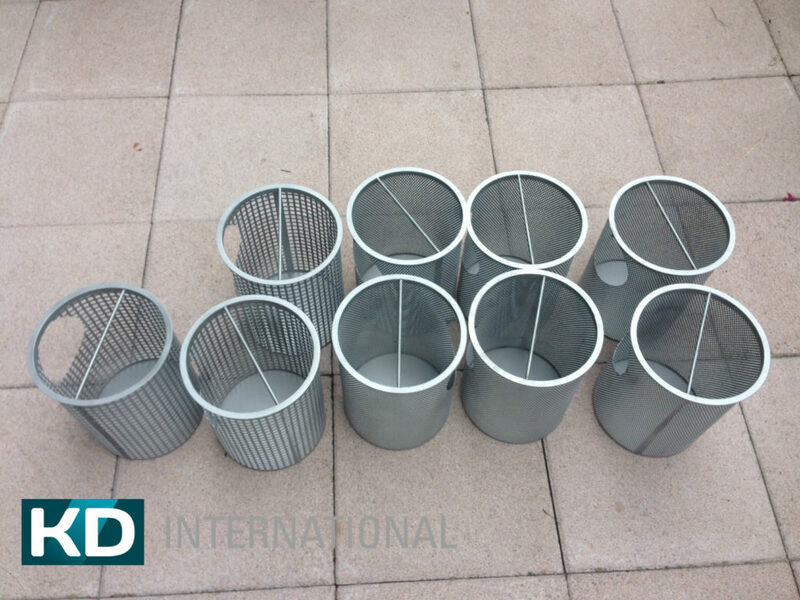 Our basket strainers are available in different micron size. Recommended flow rate is based on specific application. 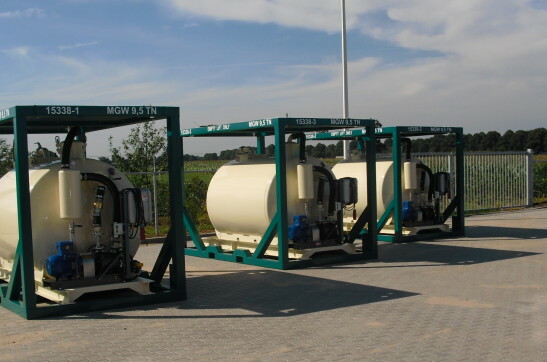 We maintain a fleet of rental “Dual Vessel Cartridge Filter Unit” ready to serve your separating needs. Our rental units are skid mounted and shipped ready for operation.The SERIES FS600 rental “Dual Vessel Cartridge Filter Units” are designed to filter particulate from liquids. 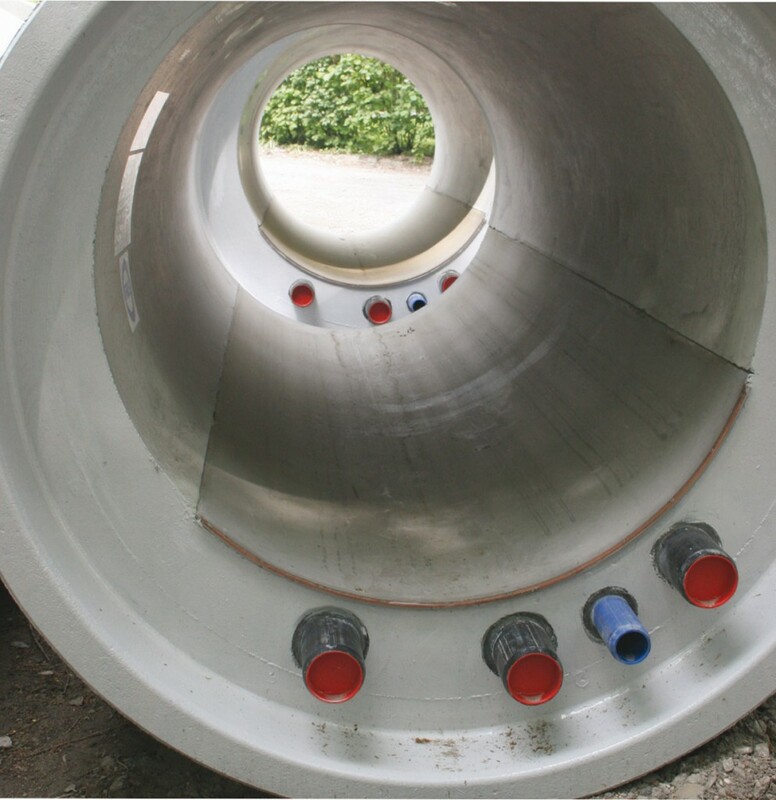 The duplex filtration skids are designed to be a portable complete filtration system and can be easily put into service with little more than upstream and downstream connections being made. The filtration skid is designed and built to process specifics for the required flows and micron retain age. By maintaining absolute fluid cleanliness, end- users can dramatically increase the life of critical wear components on rotating equipment, minimizing downtime and maximizing profitability. 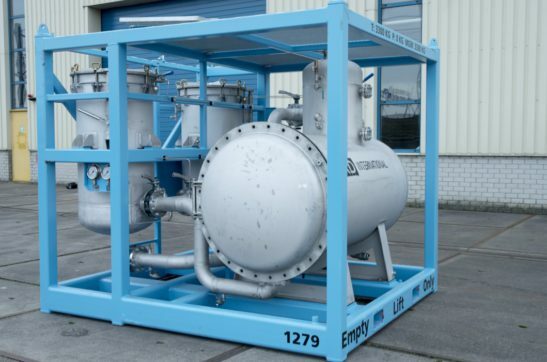 The rental “Dual Vessel Cartridge Filter Unit” are offshore proof and equipped with all necessary valves, safety features and allows operators to simultaneously filter with one vessel and change out cartridges in the other vessel. 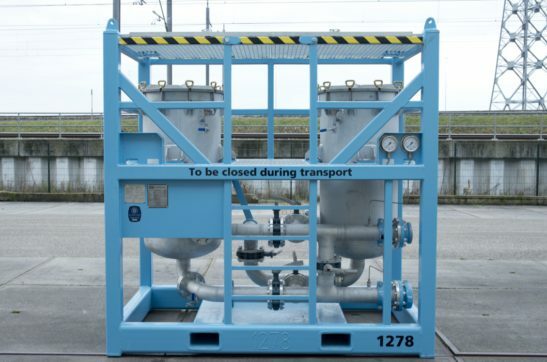 KD International, delivers mobile separator for oil spill response emergency projects. 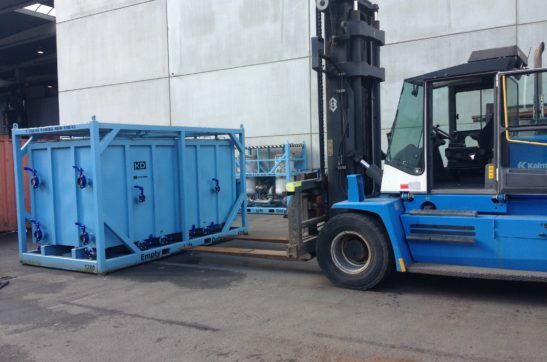 For incident management KD International has mobile oily water separators available and ready for transport. Due to an incident, several large tanks on board of a large transport vessel were contaminated with oil, to remove this oil, our high efficient separator is available and can so safe costs. 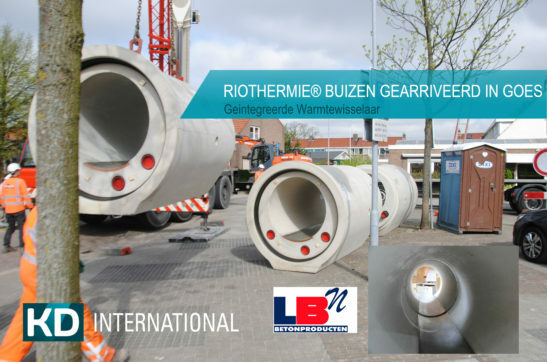 Other rental units and separation systems are available for efficient polution emergency response. Please contact our staff for further information! 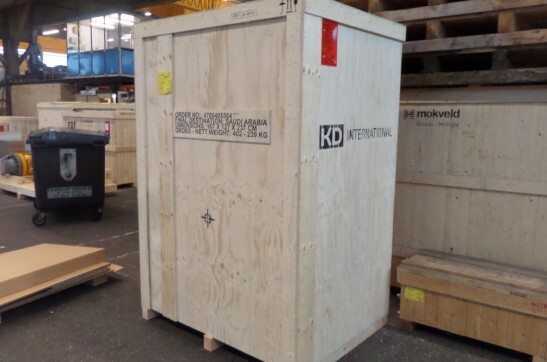 KD International delivered oily water separator skid for offshore deckdrain optimization project. Waters from offshore EP facilities can be contaminated with oil and other contaminants, client needed to clean this water stream and installed a KD International Oily water separator. With an unique combination of a pre-separation technology upstream of our (2) polishing vessels, the system is able to remove suspended solids and both free hydrocarbons. The combination of technologies makes the system unique in his kind, simple, robust and operator friendly. 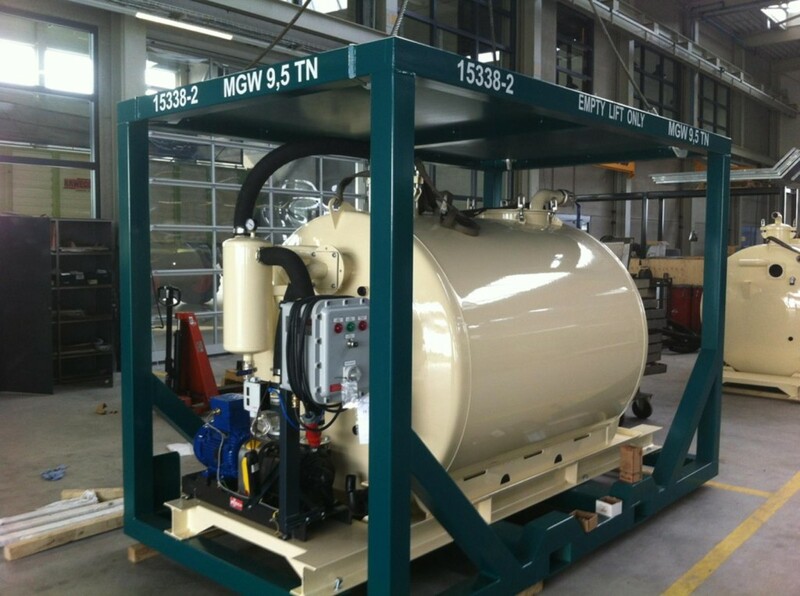 This mobile unit was skid mounted and ready to use, easy to install and is suitable for various types of contaminated waters including, deck waters, contaminated ballast waters, produced waters and other industrial water streams. We are happy yo welcome them as valued customer. Please contact our staff for more information! 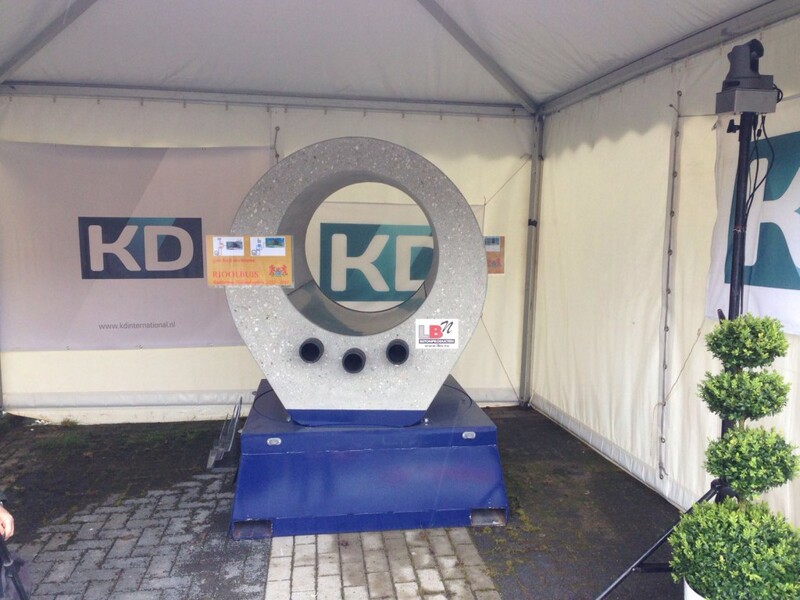 KD International supplies equipment for a wide range of applications for new built projects as well as for modification projects. By selecting high-quality and certified materials and packing, we can guarantee the quality and reliability. Upon client request the mechanical design can also be fully verified by Finite Element Analysis (FEA). 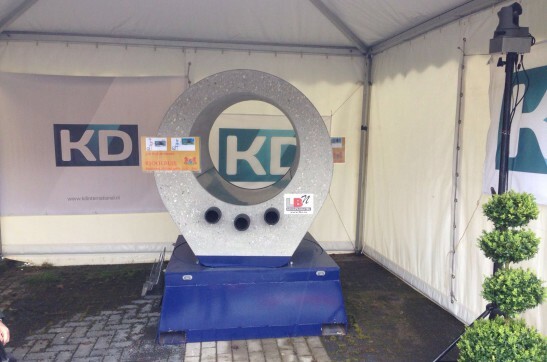 Because KD International equipment is tailored to the requirements of each application, they can be easily installed in new projects or upgrade of equipment that are undergoing client requested modifications. With more then a decade experience in oil in water treatment, KD's consultants are seen as a reliable partner for the industry. In close cooperation with our main equipment supplier we advise clients with process audits, sourcing, technology evaluation and where to buy monitoring systems. We are succesfull with this service for several companies in the oil & gas industry. Our preffered brand analyzers using the fluorescence measurement technique. Some of the models have additional benefit of spectral analysis. The introduction of this revolutionary oil in water analyzers began with the EX-100. It was the first on-going maintenance free analyzer to provide continuous uninterrupted accurate measurements of oil concentrations. 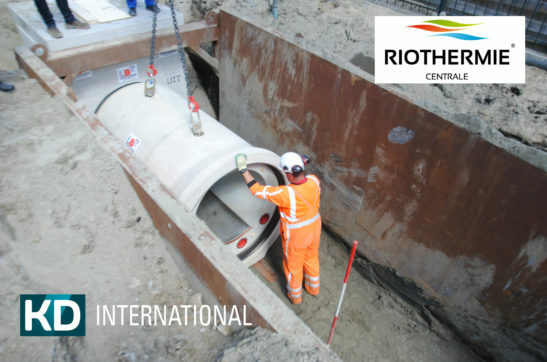 For the first time, reliable real time data enabled operators to take accurate discharge measurements and thus take the next step to improve efficiency of separation processes and saving money. Please contact us for a consult. KD supplies (3) offshore mud vacuum units to clear drippings and spillages of daily drill floor operations. 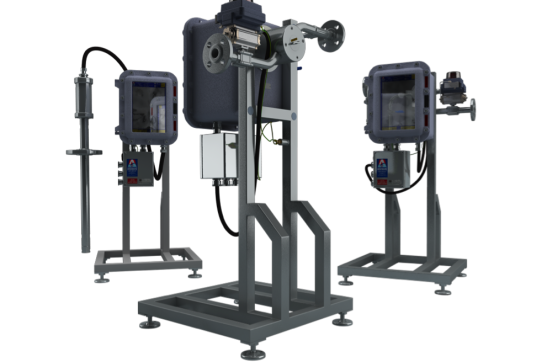 Our vacuum unit collects, stores and moves drilled cuttings within a totally enclosed environment, minimizing spills and contamination. The unit can be moved from one location to another in a minimal amount of time and minimizes the amount of floor space required for operation. Further, the unit does not interrupt the drilling operation. The pump with superb performance and high reliability is connected to a robust frame and vacuum tank with adequate capacity.